With Australia introducing new laws to restrict fruit fly pesticide being used it makes you worry about what we have been eating all these years. As always growing your own stone fruit in your backyard is both good for you by allowing you to get out in your own backyard and also with a bit of help from natural fruit fly bates and fruit fly nets you know exactly what you are getting when you pick your apricots, Nectarines and Plums this season. Our favourite so far this season has been our Angel Peach Subtropical. Great for places that don't get much frost like Brisbane and Coastal areas. If you are looking for a tasty little bush food to fit into a sunny corner look no further than the Atherton Raspberry. The fruits are highly attractive bright scarlet red berries that have a delicious sweet, juicy flavour and will be eagerly sought out by foraging children. And they fruit in winter when their are no other raspberries coming off, perfect for raspberry lovers. 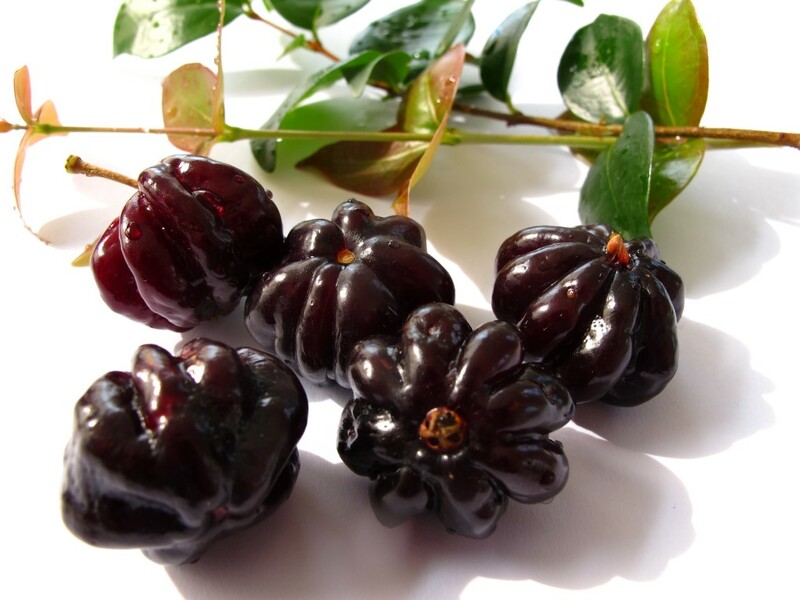 Many of us know all about the Brazilian Cherry in QLD and NSW as they often grow in public areas and in some places people would say that they are a weed they grow and fruit so well. They are known for being rich in vitamins but unless you get one that is perfectly ripe it is often too tart for many peoples pallets. At Daleys we have got a new variety called Black Beauty it grows quick and has just covered in fruit each year but instead of turning bright deep red when it is ready to eat it turns black sometimes so black there is no red left in it. It is at this stage that you can eat them. The tartness is gone and the sweet juice almost like nectar floods your taste buds. Peach Trees with No Fruit fly and bursting with flavour from our orchard protected by fruit fly netting and also fruit fly bates. It may seem a hassle at first but after one bite of a tree ripened peach it is all worth while. This variety has a very low chill hours (only 150 chill hours) so great for coastal areas that get little frost like Brisbane, The Gold Coast or Port Macquire and most of Sydney. Australia has many places like QLD and NSW where the weather is similar to Mexico or central America where the soursop tree originated. If you have high humidity and warm winters then your backyard needs a new family member the Soursop Tree. 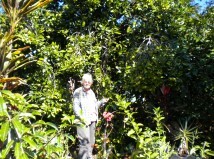 Daleys Fruit Tree Nursery sells quite a few varieties such as the Soursop Mountain Tree and the Soursop Kyogle Fruit Tree. These selections are grafted and will fruit much quicker and have a proven taste, size and texture that can be a gamble with a seedling tree. Many people have said that the soursop can be used as a Cancer Cure. Facebook and other Social Media platforms especially have shared this information. A silver bullet like eating one fruit does sound too good to be true however one thing that has been shown time and time again in the fight against cancer is eating a diet high in Fruit, Nut & Vegetables does reduce your risk of getting many common cancers and even when you do get cancer this diet is the one you are often forced to go on. The variety of fruit that can be grown in Australia is a wonderland with our amazing climate. So a varied diet should be available to everyone by growing fruit trees in your backyard that you can not easily or economically buy in the grocery store. The Soursop would fit this ethos perfectly. I recommend a grafted variety that costs more initially but produces fruit faster and will likely taste better. * Daleys Fruit Tree Nursery advices that you seek professional medical advice from your doctor before making changes to your diet or prescribed medication.